We had a great summer at Kids College 2018! To get information about Kids College for next summer, email merrittkidscollege@peralta.edu. See you next year! 3) Deliver to us in Building D, Room 216, from 9 a.m. to 4 p.m.
A non-refundable deposit of $50 (cash or check) must be received by June 5 to confirm your space. For questions, email us at MerrittKidsCollege@peralta.edu or call (510) 434-3939. Merritt College Kids College Offered for 7th Year: 10 Days for Low Price! 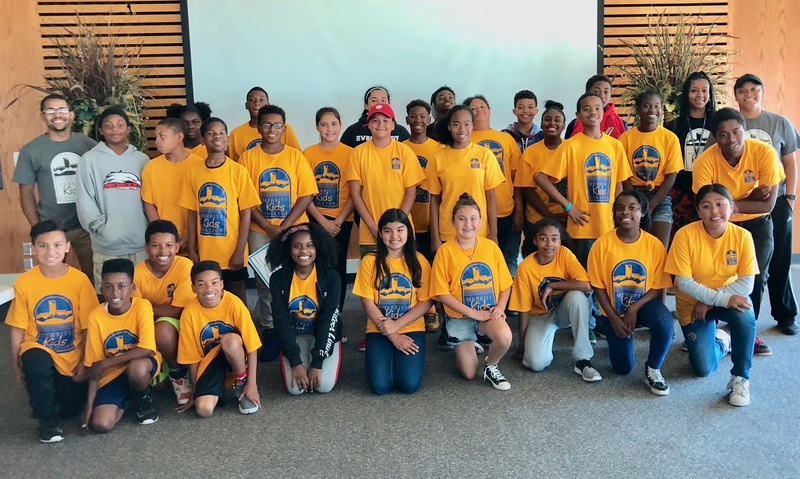 The camp’s popularity has grown each year as new hands-on experiences have been offered through Merritt’s own college programs taught by Merritt instructor, such as chemistry, administration of justice, nutrition, music, ceramics, and sports. To find out more about Kids College, check out the Frequently Asked Questions link and then fill out the Registration Form and send as instructed above. 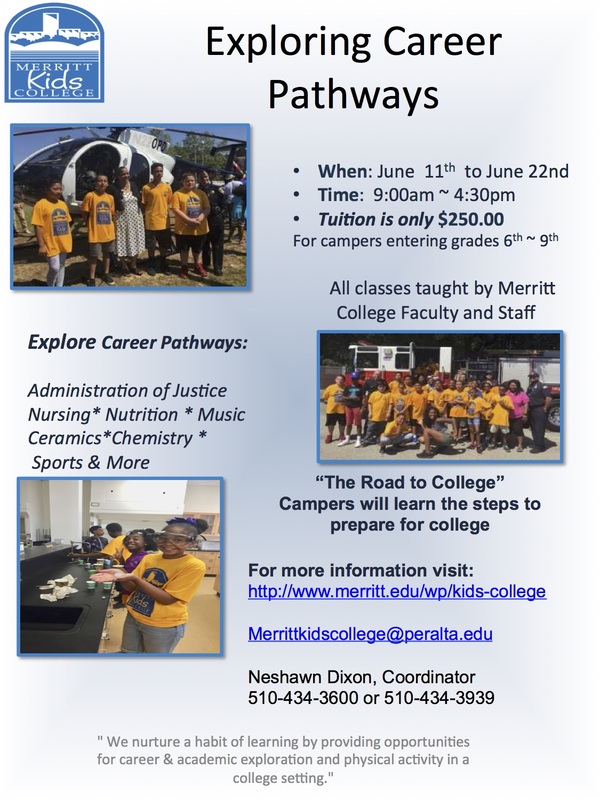 For more information, call Ne’Shawn Dixon, Coordinator Merritt Kids College at (510) 434-3939 or go to MerrittKidsCollege@peralta.edu.